Acer took the wraps off a new mid-range smartphone called the Liquid Zest Plus. Among its selling propositions are the meaty 5,000 mAh battery and main camera with tri-focus. 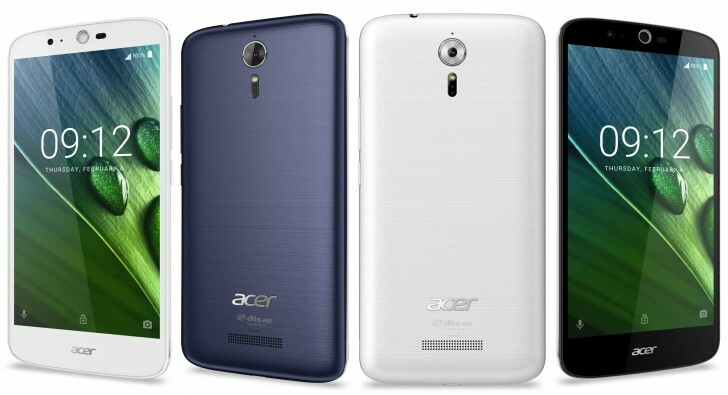 The Acer Liquid Zest Plus is a phablet with a 5.5-inch display of 720p HD resolution. It is powered by a quad-core MediaTek MT6735 chipset with 2GB RAM and 16GB of expandable internal storage. It runs Android 6.0 Marshmallow out of the box. One of its selling points is its main camera with has a 13-MP sensor with LED flash and tri-focus. Tri-focus combines three auto-focus systems: laser, phase detection, and contrast detection. A 5-MP camera can be found in front. Another selling point is the large 5,000 mAh battery, which supports quick charging. With these features on board, the Acer Liquid Zest Plus will just retail for $250.